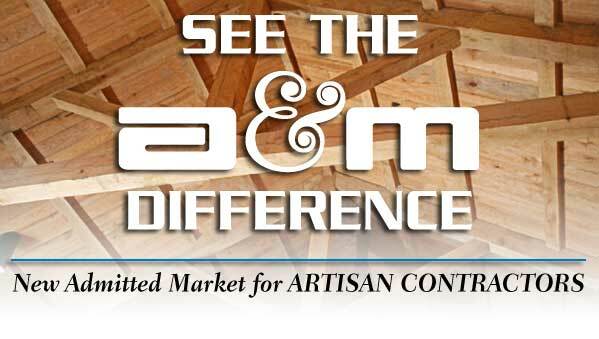 A&M offers you competitive rates and broad coverage for your artisan contractors. Combine this with an admitted "A" rated market and you have the tools to get new customers and retain your present clients. For a fast quote, go to www.andersonmurison.com and on the home page click on Contractors EZ Quote. No sign on is necessary. If you have any questions, call 800-234-6977 Ext. 220 and one of our experienced underwriters will be happy to serve you.